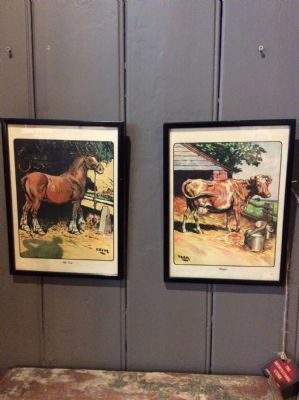 A beautiful pair of vintage prints. One depicting "Tom" The horse and one depicting "Moggie" the cow. A lovely pair that would look lovely in a farmhouse kitchen or in a more contemporary setting.